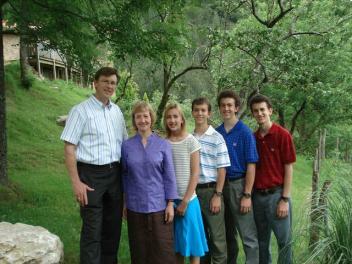 Andy Bonikowsky and his family are missionaries in the Basque Region of Spain. They have started a Baptist Church, a printing ministry that supplies literature in Spanish to many missionaries in the area, and have established a retreat ministry in an old Spanish farmhouse known as "Aierdi." I had the priviledge of visiting with Andy and his family in Spain during the summer of 2009. He publishes a devotional entitled, "Just A Minute: If you have one, here's a thought from Scripture." Called JAM (Just A Minute) for short, these devotionals will be posted on this page (with Andy's permission, of course) for our church family to enjoy. The word of God found in these devotinals has been such a blessing to me that I wanted to make them available to you.